Looking for the perfect place to host your kid’s birthday bash? Wild Wild Wet offers two party packages – the Cabana ($599 per package) and Neptune Cove ($899 per package) to help parents plan an enjoyable and hassle-free party. For starters, there’s already plenty of entertainment for guests of all ages. While little ones splash around kid-friendly attractions such as the Professors Playground, adults can take on thrillers such as Vortex, Singapore’s first high-speed 360° extreme loop ride. And thanks to the all-inclusive package, you won’t have to worry about details such as decor, partyware and meals – there will even be Personal Party Guides present to ensure everything goes smoothly. Simply pick a package and get ready for a splashingly good time! WIN! 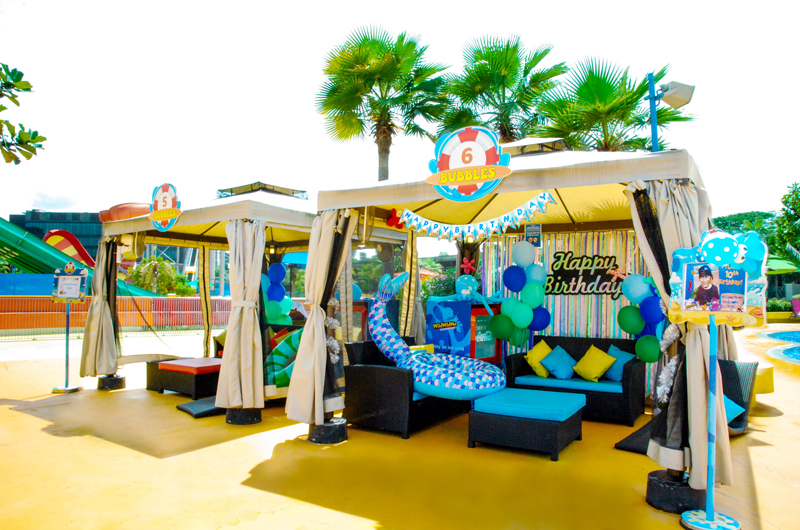 We’re giving away a Wild Wild Wet Cabana Celebration Birthday Package (worth $599)! Booking of Celebration package subjected to availability. NTUC Club and Wild Wild Wet reserve the rights to contact the winner via email for further communication regarding the party booking. NTUC Club and Wild Wild Wet reserve the rights to amend the celebration package’s terms and conditions without prior notice.